Publishing a study/ article in a scientific journal reviewed by experts is a crucial process in developing a coherent and respected academic education. It is in fact a scientific expression of the quality of the author(s) work and of the institutions in which they works. Therefore, it is important to agree on common and predictable ethical standards in academic publishing. All persons that are listed as authors on the paper accept that they have been directly implied in the main aspects related to the study and writing the paper, meeting the general criteria for authorship as declared by the International Committee of Medical Journal Editors (ICMJE). Generally, an author has to fulfill at least three major conditions: that made a substantial contribution to the progress of the study, that written or revised essentially the manuscript, and that read and approved the final version of the manuscript. Authorship should be thus limited to those scientists who have made a significant contribution to the one or more core elements of the study/ article: conception, design, execution, and/or interpretation of the results. The full responsibility for all presented data in the article belongs to authors. All authors are obliged to participate in the peer review process and to ensure, where applicable, retractions or corrections of mistakes. • Originality and plagiarism. The originality and the scientific quality of the presented results lies in the fact that the authors should take the responsibility and ensure that: a) they have written entirely original works, b) that the paper contains sufficient detail and references to permit others to replicate the work, c) they are ready to provide the raw data in connection with a paper for editorial review (data access), d) if the authors have used the work of others, that this has been appropriately cited or quoted (acknowledgement of sources). • Reporting standards; data access. Authors of literature reviews and original research reports should be able to provide an accurate description of the work they have done, as well as a perspective regarding its significance. Authors may be required during the review process to provide the raw data of a study, and should agree to give unlimited access to readers to these data. • Fundamental errors in published works. When an author discovers an error or inaccuracy that may have significant implications in the results of the work, it is the author’s obligation to make the correction by promptly notifying the publisher or editor, and to work with them to withdraw or correct the error(s). • Research fraud is related to publication of data or conclusions that were not necessarily generated by experiments or observations, but rather by manipulation of the invention or data. • Article withdrawal. Usually it is used for Articles in Press that represent earlier versions of articles, and which often contain errors or are accidentally sent twice. • Article retraction implies infringements of professional ethical codes (multiple submission, plagiarism, fraudulent use of data, etc.). The original article will be retained unchanged in PDF format, indicating on each page that it is “retracted.” The HTML version of the article (preceded by a screen with retraction note) will be removed. For more, see the National Library of Medicine’s policy on retractions and also the recommendations of the International Committee of Medical Journal Editors (ICMJE) regarding corrections and retractions. • Article replacement. In cases where the article, if acted upon, might pose a serious health risk, and the authors of the original article want to remove the original replacing it with a corrected version. In this case, withdrawal procedures will associate a link to the re-published corrected article and the history of the document. • Multiple, redundant or concurrent publishing. Generally, an author should not publish papers describing the same research in more than one journal (excluding this recommendation are publication in the form of a summary, publication as an academic thesis, and publication as an electronic preprint). Conflict of interest exists when an author (or the author’s institution), reviewer, or editor has financial or personal relationships that inappropriately influence (bias) his or her actions (such relationships are also known as dual commitments, competing interests, or competing loyalties). These relationships vary from those with negligible potential to those with great potential to influence judgment, and not all relationships represent true conflict of interest. The potential for conflict of interest can exist whether or not an individual believes that the relationship affects his or her scientific judgment. Financial relationships (such as employment, consultancies, stock ownership, honoraria, paid expert testimony) are the most easily identifiable conflicts of interest and the most likely to undermine the credibility of the journal, the authors, and of science itself. However, conflicts can occur for other reasons, such as personal relationships, academic competition, and intellectual passion. The authors should disclose any financial or other conflicts of interest that might influence the results or their interpretation in the submitted manuscript (download the form). Where appropriate, the informed consent must be obtained and mentioned by authors. Patients have a right to privacy (when patient images or case details are used) that should not be infringed without informed consent. 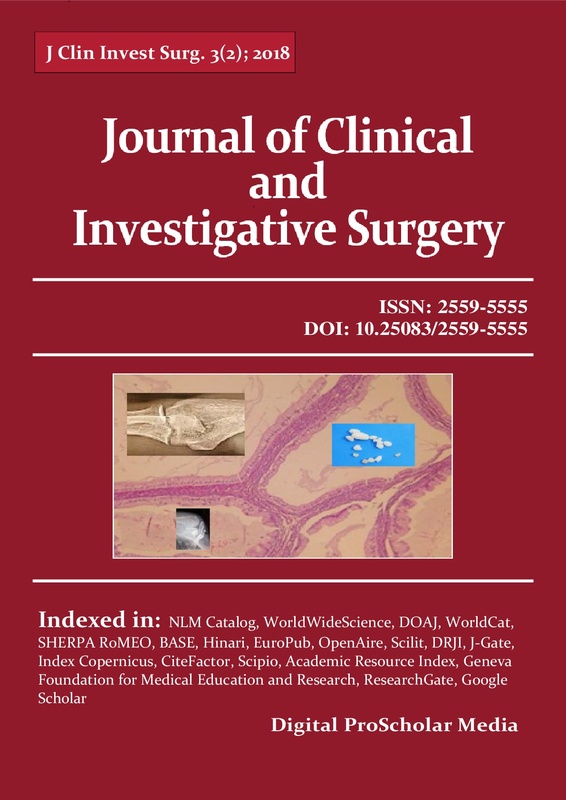 Identifying information, including patients’ names, initials, or hospital numbers, should not be published in written descriptions, photographs, and pedigrees unless the information is essential for scientific purposes and the patient (or parent or guardian) gives written informed consent for publication. Informed consent for this purpose requires that a patient who is identifiable be shown the manuscript to be published. Authors should identify individuals who provide writing assistance and disclose the funding source for this assistance. Identifying details should be omitted if they are not essential. Complete anonymity is difficult to achieve, however, and informed consent should be obtained if there is any doubt. For example, masking the eye region in photographs of patients is inadequate protection of anonymity. If identifying characteristics are altered to protect anonymity, such as in genetic pedigrees, authors should provide assurance that alterations do not distort scientific meaning. If the work involves chemicals, procedures or equipment that could have unexpected hazards in their use, it is also required a statement of the author concerning the existence of an informed consent in all researches conducted with such human subjects/ samples and approval of Ethics Commission concerning animal/human studies. The peer-review process implies obtaining evaluation/ recommendations on individual manuscripts from recognized scientists/ reviewers in the field. Reviewers assist the Editor-in-Chief in taking editorial decisions and, if the case, also assist the author(s) in improving the manuscript quality. Reviewer comments must be objectively, personal criticism of the contributors being unacceptable. Any article received for review will be considered as a confidential document, which means that it must not be presented/ discussed with others. Research articles implying statistics are also reviewed by a statistician. • Each paper will be sent for evaluation by at least two reviewers. • Will evaluate manuscripts for their intellectual content without regard to race, gender, sexual orientation, religious belief, ethnic origin, citizenship, or political philosophy of the authors. • Will treat any submitted document as confidential and will not disclose any information about a submitted manuscript to anyone other than the corresponding author, reviewers, potential reviewers, other editorial advisers, and the publisher, as appropriate. • Reserve the right to withdrawn a published manuscript at the request of the Members of the Editorial Committee or of the authors or of a third part, for the following reasons: a) plagiarism and copyright infringement; b) break of confidentiality in published research; c) exposure of persons or institutions to libellous and defamatory statements; d) when an author/editor/third part discovers a significant error or inaccuracy in the published work. The Publisher should always be willing to publish corrections, clarifications, retractions and apologize, when needed. A Publisher is a company/corporation responsible for performing printed or digital publications, using modern and very specific tools. Publisher acts as an interface between the Author/Editor and the corresponding readers, being usually not the creator of the material. As an example for a Journal, the Publisher ensures processing and publication of articles, and provides the necessary steps for journal indexation. The indexing result depends in great extent by the quality of the published articles (closely related to the number of citations received), and by the selection criteria of databases.